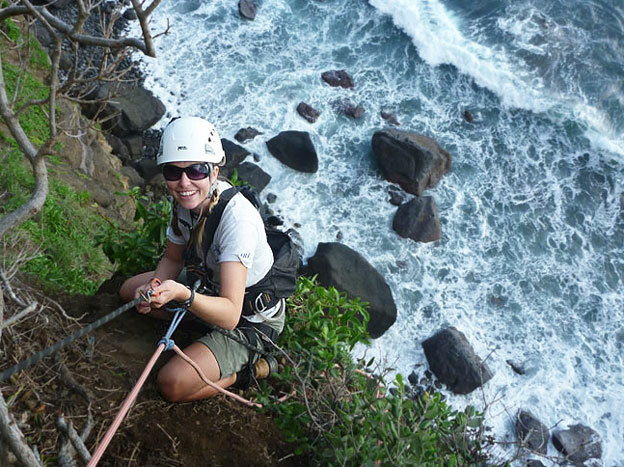 Today we profile Little Barrier Island Ranger, Nichollette Brown. As Ranger on Hauturu/Little Barrier Island my role is pretty varied. My ‘office’ and home is a 2817 hectare island and nature reserve in the Hauraki Gulf. I share the role of kaitiaki with Richard Walle and his family; his wife, Leigh Joyce, and children, Liam (7) and Mahina (9). My main role involves running the island’s weed programme. Due to the terrain, (steep!) 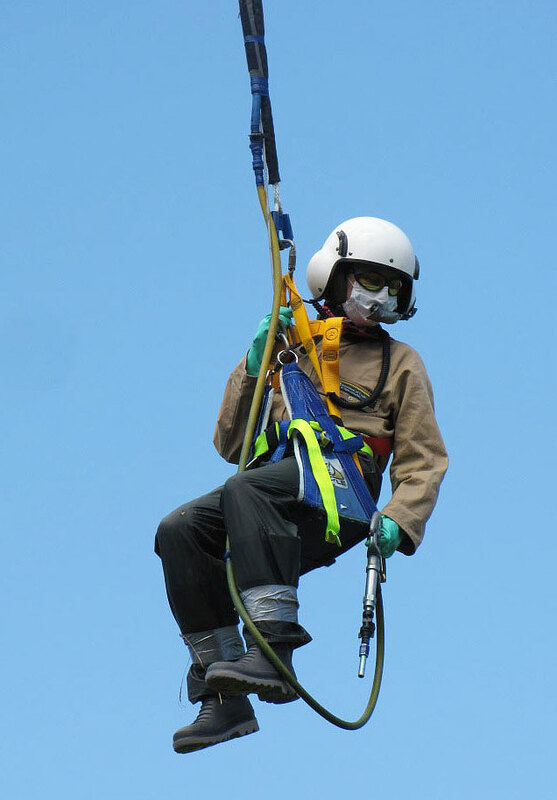 the ground-based grid searching can get pretty exciting and if that doesn’t get the adrenaline pumping, flying in the helicopter strop for pampas spraying will! I also run the annual reptile monitoring programme which, since the rodent eradication in 2006, has shown a promising recovery. When I’m not involved in these programmes I assist Richard with the island maintenance and operation, the tuatara breeding programme and provide support to researchers and translocation projects. We also host volunteers and visitors to the island. Waking up every morning to a dawn chorus lead by kōkako, and sharing the path home in the evening with kiwi, bats and the scratch of wētā punga in the trees. Being away from friends, family, and events on the mainland for long periods. 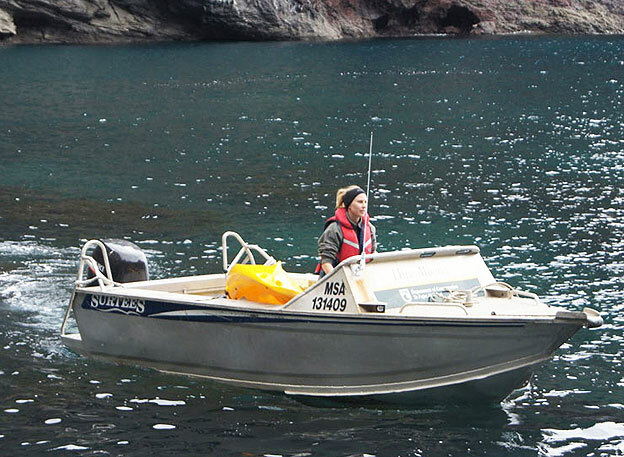 A lifetime exploring New Zealand’s bush, mountains and oceans; a postgraduate degree in ecology; and a love for conservation, and maintaining and improving our natural resources. Oh, and several years in the corporate world wondering why I was there! So many! Generally, the excitement of never knowing what the day will bring. 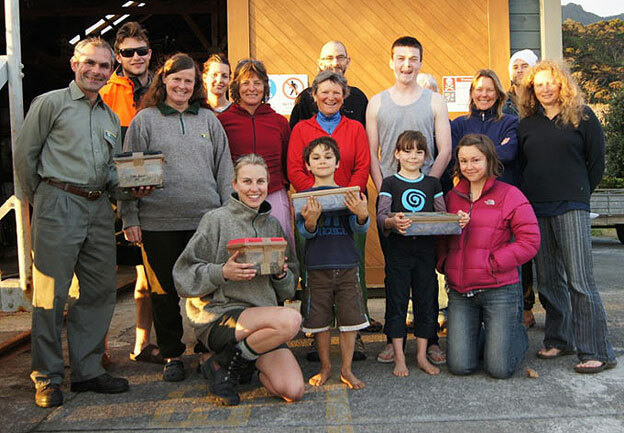 More specifically, the release of two captive bred tuatara, hanging 70 metres below a helicopter to spray pampas grass on the island’s cliffs, tramping from one side of the island to the other over two days, and meeting lots of interesting and dedicated people as part of the reptile monitoring programme. Movie: I’m a movie addict! It changes constantly. Album: Currently anything by Trinity Roots, Age Pryor, or any Jack White collaboration. Book: The Torchlight List by Jim Flynn—an excellent summary of all the books you should have read and why. People passionate about a cause, loving the work they do, and being keen to educate others— infectious enthusiasm! 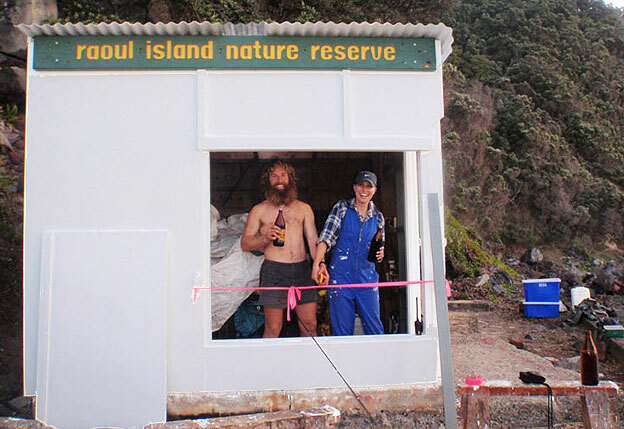 Completed Building Project—we rebuilt the Derrick shed on Raoul Island with the island mechanic Ash Mangnall. This is the opening ceremony. Apparently it got pretty hammered in a cyclone the following year but is still there! 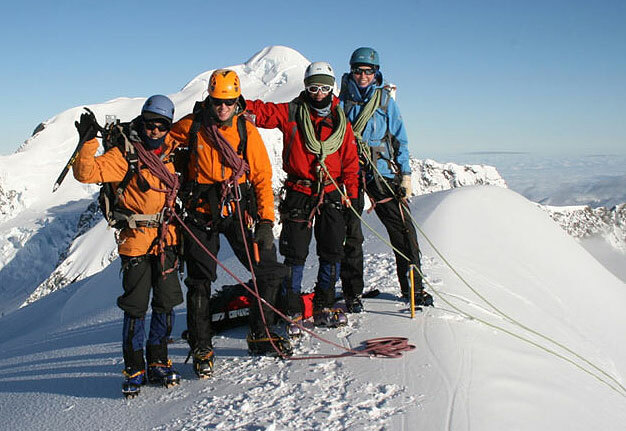 A research scientist in Antarctica, or working in the natural history section of a museum (a nice mix of education, history, and research), or working with developing countries to educate and improve environmental practise, sustainability, and biodiversity. Be aware of your impact on the earth—get online and calculate your ecological footprint. This measures the amount of resources you use and the waste you generate. It’s a great way to make yourself aware of where you can make changes to improve your sustainability and reduce your impact on the world. Currently the average human exceeds the Earth’s regenerative capacity by about 30%. The biggest gains can be made in reducing fossil fuel use—do you really need to drive or could you walk, cycle, or take public transport? Also, careful consideration of your energy provider e.g. supporting renewables, will make a big impact on your footprint. And finally: reduce, reuse, and recycle! Reduce, reuse, and recycle. The amount of packaging these days is obscene. Where possible I hope to grow my own veges, buy in bulk, and consider a product’s packaging and its ability to be recycled when purchasing. I will aim to mend and fix things rather than replace them—kind of a requirement anyway when living on an island! I’m also keen to make better use of library services rather than buying books and magazines. It sounds like Sirocco has a pretty good life jet-setting round the country advocating for his species and for conservation! Get out and enjoy our beautiful parks and wild areas. Make a multi day tramp the focus of your next holiday—staying in DOC huts is a lot cheaper and more rewarding as a family than staying in a hotel in the city! Encourage children into tramping, climbing, and swimming—and educate them about our natural flora and fauna. Get involved in volunteer programmes—many of them take you to some amazing, remote places that most people don’t have access to.